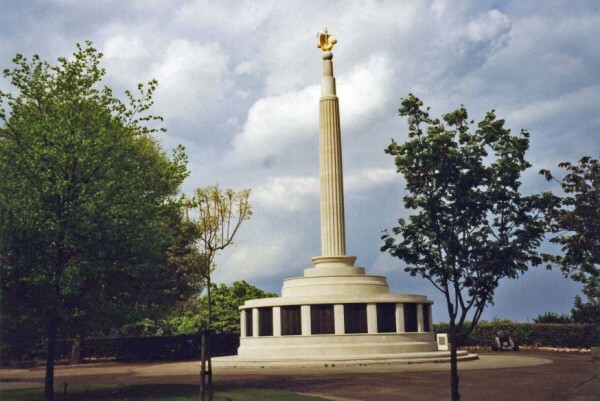 The Naval Memorial is located to the north of the town alongside the A12 Yarmouth Road, approximately one mile north of the harbour. The memorial is in a prominent position within a local authority gardens, known as Bellevue Park. The park is on the top of the cliffs and the memorial itself is on the edge of the cliff so providing an unobscured view of the foreshore and sea. Commemorating almost 2,400 men of the Royal Naval Patrol Services who have no grave but the sea. There is 1 memorial from the 1,531 servicemen lost with HMS Glorious, HMS Ardent and HMS Acasta at the Lowestoft Naval Memorial, that of John Alexander Mckee who was lost with HMS Acasta.